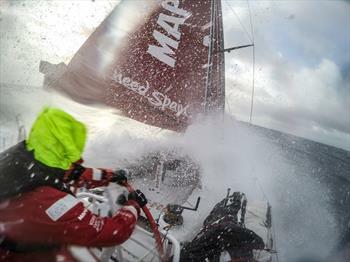 The third leg of the Volvo Ocean Race started on Saturday (3). The six boats departed from Abu Dhabiin the United Arab Emirates, to Sanya, a Chinese island. The leg will have 4,642 nautical miles-8,596 kilometers-and will go through difficult navigation areas such as Straits of Malacca. The organization from around the world also defined exclusion areas along the way. Fans of the sport can monitor the performance of the teams by the official race tracker. Step promises to be pretty played from beginning to end, as well as the previous two. Proof of this is the Championship with three leading teams with the same number of points: Team Brunel, Abu Dhabi and Sanya. The Spanish MAPFRE team, which has Brazilian Andre ‘Cheek’ Fonseca, is fifth and want to recover even more in this step. The Dutch Carolijn Brouwer’s confident Team SCA performance after the victory of the girls in the In-Port Race in Abu Dhabi. In Portuguese, the Olympic athlete, who lived more than 10 years of Brazil, said that the step is completely different from the other. “The first half of the leg will be weaker winds, but with obstacles. The Strait of Malacca has everything: fishing boats, ships and more. These are situations that come out of our control. We hope to have a bit of luck to get through that stretch. We have a strong team and prepared for that challenge, “said Carolijn Brouwer. 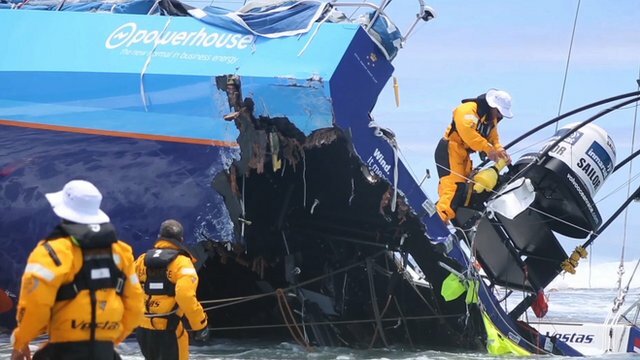 The Abu Dhabi Ocean Race, one of the leaders of the Volvo Ocean Race, took advantage of the ‘ home ‘ factor and jumped in front in the first few miles. With little wind and lots of mist, the teams struggled to see shorter front. The challenging conditions early on are small near to come. Will be in all eight zones of exclusion, starting with the Iranian territory, the oilfields of Saleh, Dragon, and Phuong Dong, and prohibitions on the East coast of Africa. The forecast indicates that the boats should take no more than three weeks to complete the course, which will be predominantly of light winds. The trickiest part is the Strait of Malacca, which separates the island of Sumatra (Indonesia) and Malaysia. One of the major sea lanes of the world focuses on an area of 1.5 miles.